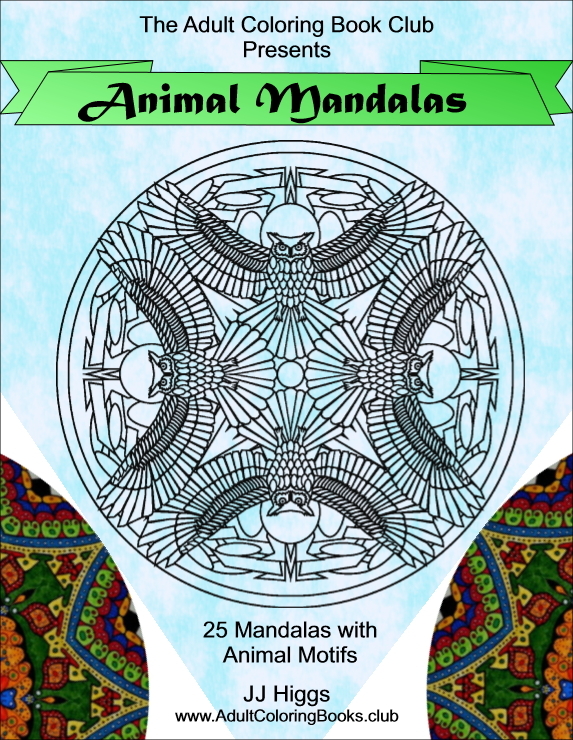 This *Printable* adult coloring book features a combination of my two favorite coloring book themes - mandalas and animals. We've got a truly wonderful collection of 25 unique patterns with different animals. Check out the samples below to see what a range of critters, patterns and level of detail is included in this volume. You may already know the pleasures of coloring mandalas. Their mesmerizing patterns add depth and tranquility to the relaxing pastime of coloring. The intricacy of mandalas keeps them interesting and challenging for adults. There is a world of possibilities when selecting colors to enhance the patterns with your own creativity. Now with this printable collection of gorgeous and intriguing Animal Mandalas, you can print multiple copies and make each one unique as you color them in. You can experiment with different paper types and even try printing on light-colored paper. Print on card stock to make something extra-special from the designs. The e-book comes as a regular PDF file that you can download immediately after purchasing. It is formatted to print on standard 8.5 x 11" paper. Images have about 1/4" margin from the edge of the page, since not all printers can print right to the edge. PDF readers are standard on most every computer and phone these days. Even most browsers will display PDF files which you can then chose to print. If need be, you can download the official Adobe Acrobat PDF reader here. I know you'll love this collection and hope you'll share some your finished art on our Gallery page. Be sure to let us know what you like best and we'll try to incorporate your ideas in our next volume of Animal Mandalas. Cool idea! I like coloring regular mandalas, but these are so much more delightful with the different animals combined in the designs.